Shrinkage is the term retailers use to describe missing product inventory. Simple employee error or sticky fingers can be the culprit. We asked the Secrets team for their view on this retailing pitfall in this month’s business-building update. Editor’s note: This is the fifth installment in a series of articles that are a collaborative effort between Suzi Weiss-Fischmann, executive vice president of OPI Products, and the staff at Secrets Salon in Long Beach, Calif. NAILS has been following the salon since it began OPI’s The Edge business training program in February. 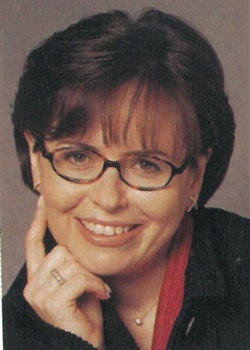 Previous articles are in the April, July, September, and November 1999 issues. To keep on top of your retail stock, Kogle and McCowan suggest always taking inventory each time an order is placed and comparing the figures against what has been sold. If product is missing, do some checking first to determine where it might have gone. “Occasionally a client will innocently choose a shade of lacquer for her service off the retail display instead of our polish bar. While we highlight the bottoms of each of the bottles on our polish bar, sometimes one of us can forget to check where the bottle came from if we’re having a hectic day. In that case, it’s our mistake, and we all chip in to cover the cost of the product and absorb it into our polish bar inventory:’ says McCowan. The missing Lip Colours are another story, since the OPI retail display has built-in testers. “We are all hoping that the rare client with sticky fingers is enjoying her new OPl Lip Colour so much that next time she’ll actually purchase the product!” she says. Of the chance that the shrinkage could be internal, both Kogle and McCowan agree it’s unlikely. “We’ve built our team and relationships on trust. We never feel the need to lock our own personal supplies and tools away,’ says McCowan. For the time being, everyone at Secrets helps keep her clients honest by always having at least one person in the room whenever a client is in the retail area. “It’s not that we don’t feel like we can trust our clients, but like other retailers, we need to simply avoid creating a tempting situation. Besides, we should always be there to answer our clients’ questions and to make recommendations,” she says. 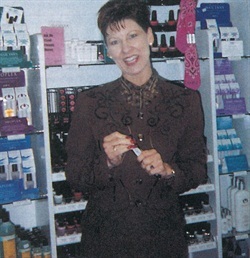 According to Kogle, the net profit gained by adding retail to her salon exceeds the salon’s small amount of shrinkage. “It’s a minor pitfall that doesn’t get in the way of profits,” she says. Sometimes a retail display can attract the wrong kind of attention. When products disappear, simple employee error or sticky fingers can be the culprit.